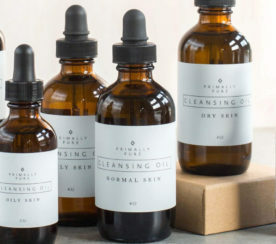 Here are a few brand examples for inspiration. 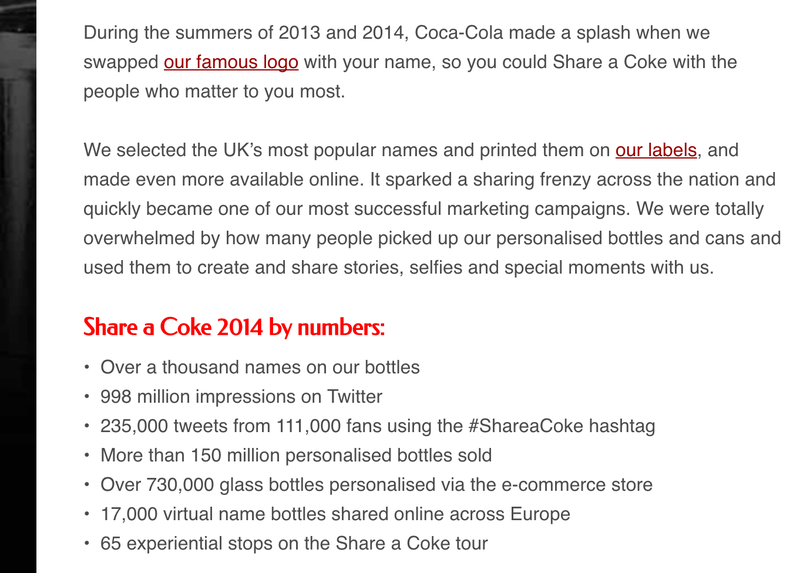 What Does Good Brand Marketing & Strong Copy Look Like? The athletic wear giant has a fantastic social media presence. One scroll through Nike’s Twitter feed is proof of their quick response to users; the company even took an extra step by setting up a separate account dedicated to customer service, @NikeSupport. The content Nike puts out is real, authentic, and relevant to their fans. 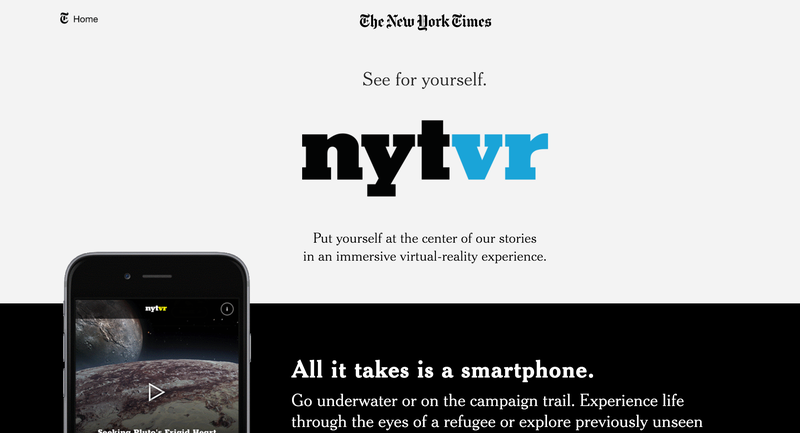 The implementation of NYTVR combined virtual reality with Google Cardboard to give users a new view of the world. Times subscribers received the Cardboard viewer, slipped in their smartphone, and then immersed themselves in a variety of virtual content. Check out the powerful wording on their landing page for the new NYTVR: See for yourself. Put yourself at the center. All it takes is a smartphone. It’s dedicated to the user and makes them feel like they’re the one wielding the power, not the NYT. Brave move. 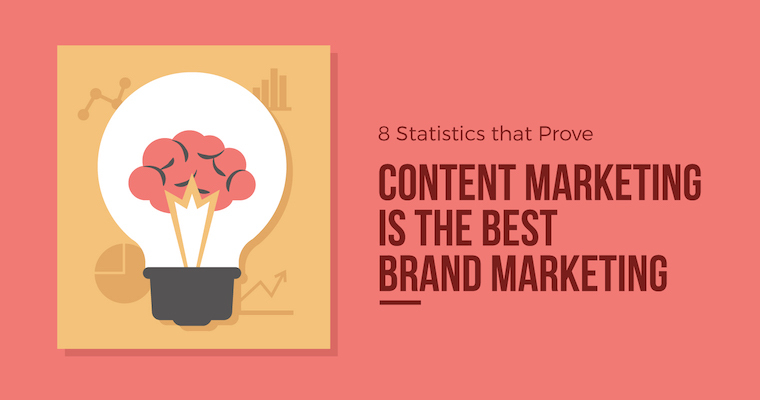 Next, to prove that content marketing really is the best brand marketing: here are eight of the top statistics. 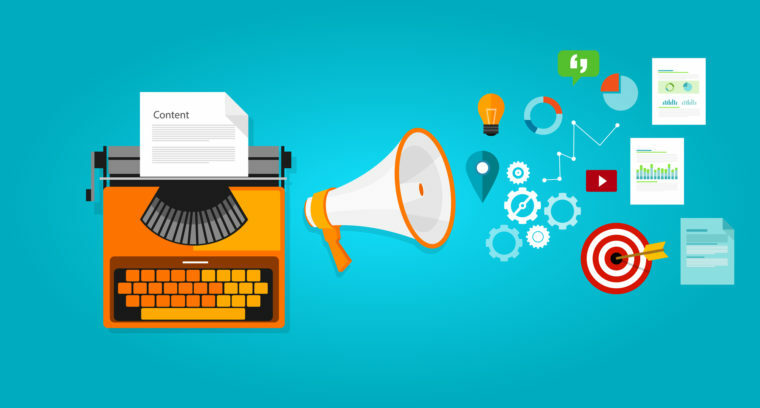 Use them to convince your clients why content marketing is the best approach! (Stat from Emarketer) Consistency is key, no matter what that looks like for you. Write a blog post, create a podcast, make an infographic—whatever it takes to deliver your relevant content on a regular basis. (Stat from DemandMetric) The quality of work does not always correspond to the cash on hand. The difference? Great content trumps the size of a budget every time, and that comes when we blaze new trails, take leaps, and meet our audience where they are. (Stat from SocialMediaExaminer) This type of original content ranked above video and podcasting, which gives hope to those of us who do not excel at creating exciting infographics and Canva images. 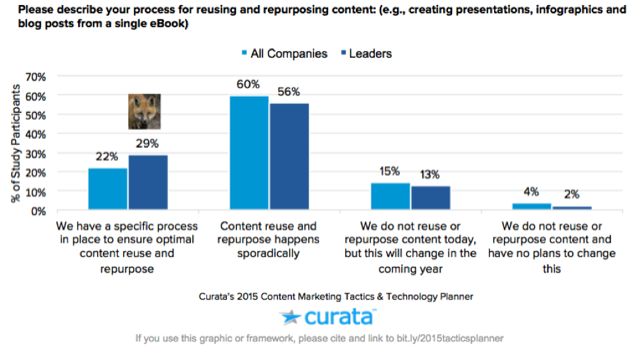 (Stat from Curata) Repurposing content is one fantastic way to get a ton of mileage out of just a small amount of content. For example: if you find one hot topic in your industry, that could mean a long form blog guide, which can then be turned into an e-book (downloadable lead magnet! 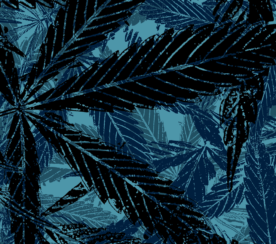 ), a presentation, an infographic, a video, social media blurbs–and on and on. (Stat from MarketingProfs) The key to producing written content is to stand out and be relevant. If you work on creating 10x content, you can be the one to stand out from the crowd and be the blog that matters. In a world that’s now used to ongoing blog posts — from creating to reading them daily to solve a common problem — it’s easy to create, but not to dominate. If you can learn how to create content that dominates in your space, you can win serious ROI. (Stat from Hubspot) This is the main challenge in content marketing that some have solved, but the majority of others haven’t. Content marketers are not alone in their efforts to attract an audience and keep ‘em coming back. The good thing about this being a challenge is that if you are aware and know that promotion matters just as much as creation, content marketing can achieve serious ROI. Keep your eye on the prize–don’t just create, promote to generate real leads from your content. (Stat from SearchMetrics) The average word count of Google’s top-ranking content is between 1,140 and 1,285 words. As SearchMetrics reminds us, “the importance of quality, relevant content cannot be understated.” Long-form content is one way to create super relevant, effective content for your reader. In a busy internet world full of content, they want to land on a one-stop content piece where every question is answered. A long-form guide is just that. 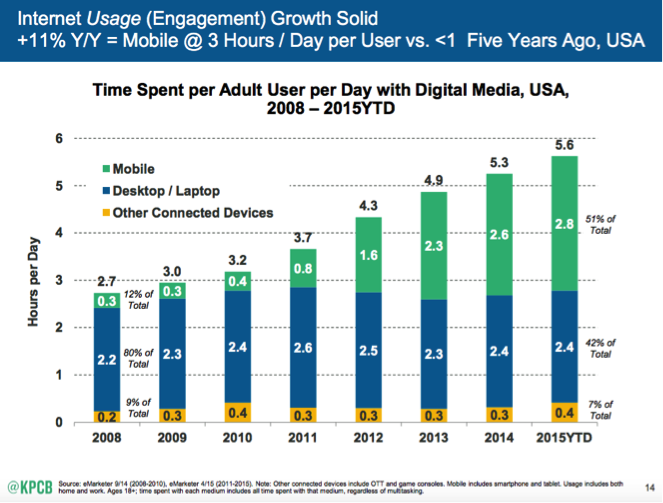 (Stat from SmartInsights) Mobile digital content reading outranks time spent on desktop computers 51% to 42%. Failing to provide a usable and efficient mobile experience means you may miss out on visitors staying to absorb your content. On the flip side, creating AMP-friendly content, a fairly easy thing to do, can put you seriously ahead of the crowd here — and doesn’t require a ton of time or money invested. Some days, it can feel like you are on the losing team in the content marketing game. You kick the ball, but miss the goal. You make the shot, but it bounces off the rim. You swing the bat, but still strike out. In other words, all the statistics in the world won’t help when you’ve run out of inspiration. Use content marketing tools like BuzzSumo, which helps with everything from keyword research to content ideas plus performing in-depth content analysis on the most-shared content for inspiration. Know where to look for relevant questions and problems to solve: start with your customer and user base. Keep your eyes focused on the goal, otherwise, you may end up where you don’t want to be. Your readers and customers want content that’s relevant and up-to-date. Know your audience. You have the answers they need and the solutions they’re seeking, but unless you know them, you can’t provide these resources. Content marketing takes many forms, from social media and press releases to podcasts and blog posts. The medium isn’t as important as what is being shared by your readers and the kind of conversations that are being generated about your services and products. The good thing? There’s room for content marketers who dedicate themselves to creating the best and seriously standing out. In a world full of content and brands, not everyone is doing it right. Those that are, gain real attention. 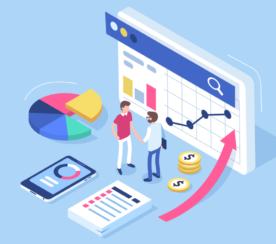 Patch up your strategy, connect the dots, and get in gear with the right resources and teamwork–and your brand will attract steady attention and big ROI. Time to capitalize on the wonderful tools and methodologies within content marketing to boost your brand.